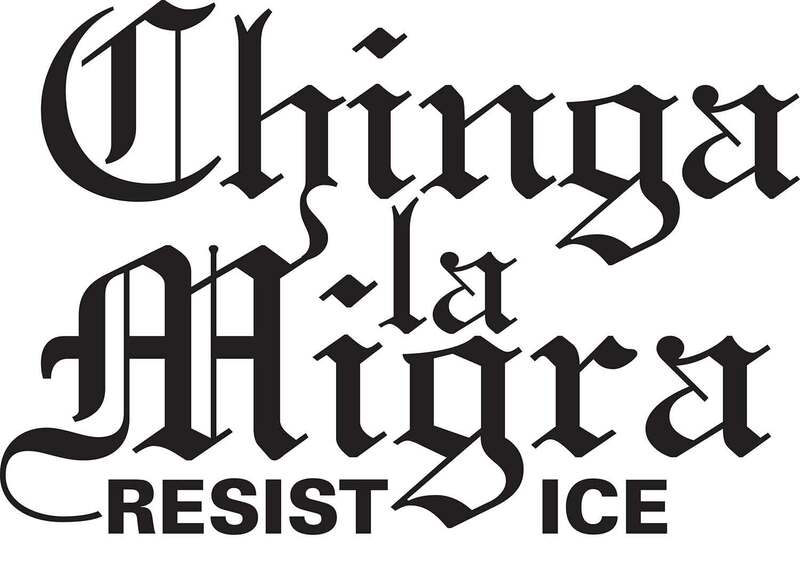 From: En Marcha (Central Organ of the Marxist-Leninist Communist Party of Ecuador), November 22, 29, December 5 and 13 2017. During the 1980s, China’s economy was already shifting to “market forces,” a process that deepened with the privatization of state-owned companies in the 1990s. During that period China established State monopoly capitalism, that is, a system in which capitalist relations of production existed in sectors and companies with strong state control. The idea of China as a country in which socialism is being built is being spread, more by the propaganda carried out by different sectors than by a real understanding of what is happening there. For the older generations, China is associated with the image of Mao Zedong and the great revolution that, after a long civil war, triumphed in October 1949 in a country of poor and starving peasants. Younger generations see China as an industrialized country that is competing with the United States for economic primacy and influence in the world. The important steps that the democratic revolution took in its early years, to overcome the semi-feudal and semi-colonial structure, which were seen mainly in the collectivization of the land, in the state ownership in some sectors of the economy, in the attempts to initiate a process of industrialization of the country, and in the execution of a policy of defense of its sovereignty they were maintained while Mao Zedong was alive. But the existence of diverse currents within the CPC, and the control of the leadership of the CPC that one of the most rightist factions achieved in 1978, led to a process of termination of the economic and social transformations achieved, which led to China becoming a capitalist country. These reforms began mainly with the naming of Deng Xiao-ping and Chen Yun to the main positions in the Party. Chen, who lost positions within the CPP when in 1958 Mao launched the policy of the “Great Leap Forward” (which sought to industrialize the country), was the promoter of a series of reforms in relation to land tenure and the structure and operation of state enterprises. Deng Xiaoping became the main head of the reform process. Known for his pragmatism, he came up with the phrase “One country, two systems,” by which he made it clear that his interest was in developing capitalist enclaves. Over time, these capitalist forms of production and exploitation became generalized throughout the territory. He also spread the concept of “socialism with Chinese characteristics,” behind which was hidden the carrying out of a political economic program, totally remote from the Marxist-Leninist precepts that assure the move towards socialism. Of course, a pro-capitalist element like Deng could not call for consistency with Marxism-Leninism. In addition, after the clamor about “socialism with Chinese characteristics,” the revisionists and rightists in the CPC have maintained an apparently communist rhetoric, while working for the establishment of capitalism. The reforms implemented during the 1980s led to the reestablishment of private agriculture, the opening up to foreign capital through the so-called Special Economic Zones (SEZs) and the flourishing of private businesses. The SEZs were recipients of Foreign Direct Investments, operated as free trade zones for the processing of exports, industrial parks and free ports. They established special legal regulations al-lowing for foreign capital and oriented towards a market economy. In 1980 private agriculture was allowed in areas where people “had lost their trust in the collectives” and in 1982 this became a national policy. This is how the de-collectivization of agriculture began. The reforms also eliminated almost all the prices set by the government and allowed them to be established by the market. In the cities, forms of “self-employment” were recognized to deal with the high rate of unemployed. In this way, during the 1980s the Chinese economy was already moving towards “market forces,” a process that was deepened by the privatization of state enterprises in the 1990s. It should be noted that privatization did not extend to all companies, nor was private and foreign capital the majority of shares, as is now happening with the latest reforms. The Chinese government established a system of control for foreign capital and there is always a presence of government capital in these ventures which projects – only projects – state dominance in the economy. This confuses many people with the socialist form of production. Thus, during this period China established a State monopoly capitalism, meaning a system in which capitalist relations of pro-duction existed in sectors and enterprises with strong State control. Later reforms and policies adopted by the CPC allowed a greater presence of private and foreign capital in the Chinese econ-omy, making it an openly capitalist country. The presence of private local and foreign capital in China’s economy is greater every day, due to the various reforms that have been applied since the 1980s to date. Capitalist property is developing freely. State-owned companies, which control the banking, energy, telephone and transport sectors, although in some of them there is a small private presence. In 2015, the government controlled 39% of industrial assets and 85% of bank assets. 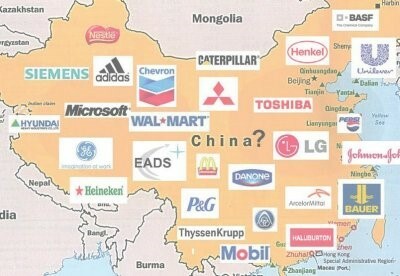 The companies formed by private capitalists, mostly foreigners, and entities supported by the Government. Private companies, although with strong state controls and closely related to the governmental apparatus, such as BYD, Geely, Chery, Huawei. In all of them, what is central is that capitalist relations of exploitation dominate. Even state companies act according to and are subjected to the logic of the market and profit. The number of state-owned companies has decreased consider-ably in recent years, and the policies that the Communist Party of China applies are aimed at reducing their presence and opening their doors to local and foreign private capital. It is estimated that currently state enterprises create only 17% of urban employment, while in the past the percentage was much higher. Between 80% and 90% of those laid off in the state sector entered into the private sector or became self-employed; in 2004, employment in the private sector represented 2/3 of total urban employment. 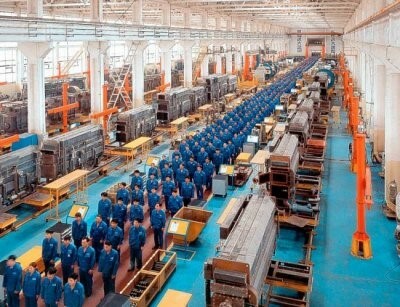 In the 1990s, under Prime Minister Zhu Rongji, the wave of privatizations led to the closing of 60 thousand enterprises and the dismissal of 30 million workers. China ranks third in the world as a recipient of Foreign Direct Investment, according to a report this year by UNCTAD (United Nations Conference on Trade and Development), after the United States and the United Kingdom. In 2016 it received $133 thousand million in investments, a little less than its historic maximum of $135 thousand million in 2015. But not only does it receive investments, it also exports capital abroad. In 2016 its capital flow abroad amounted to $183 thousand million dollars. The resolutions of the recent Congress of the CPC, in what concerns this analysis, establish measures to allow a greater presence of foreign private capital. Chen Fengying, an expert with the China Institute of Contemporary International Relations, told the newspaper Global Times (November 17) that “the relationship be-tween foreign companies and the Chinese market will be more flu-id, as the 19th Congress of the CPC pointed out that China will greatly ease market access for foreign capital.” Three days earlier, the same newspaper reported that, according to a bulletin of the Ministry of Foreign Affairs, “majority foreign participation in joint ventures will be allowed in the businesses of new energy vehicles” next year. The previous year (2016), the guidelines issued by the State-owned Assets Supervision and Administration Commission (SA-SAC) of the State Council established that “qualified employees of selected state companies in the industry fully open to competition may purchase shares of the company.” The State should keep at least 34% of the total shares of each company, while the employees must have less than 30% combined. In the 1980s and 1990s, some-thing like that was tried, and the result was that a lot of shares were bought by the administrative and party officials. 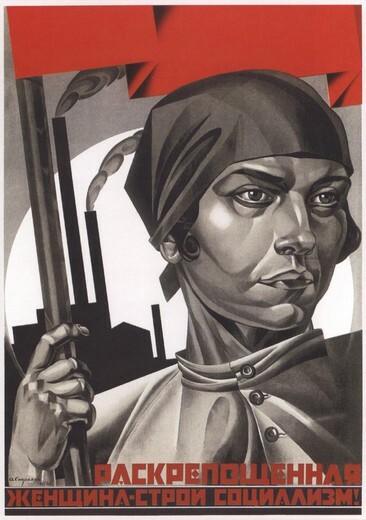 Capitalism and capitalist accumulation is based on very high levels of exploitation of labor power and has meant the widening of the gap between capitalists, workers, peasants and the unemployed. The differences in income levels are greater than those in the more advanced capitalist countries: the incomes of urban residents are 3.3% higher than the income of residents in the countryside; the incomes of industry employees with the highest wages are 15 times higher than those with lowest incomes; the incomes of the top managers of state companies is 18 times higher than those of their employees. On average, the income of the highest officials is 128 times higher than the average salary in the country. In 2007, the income differential between the richest 10% and the poorest 10% was 23 times, according to Li Shi, Director of the Research Center on In-come Distribution and Poverty of the Beijing Normal University. In 2015, it was established that the wealthiest 1% of the population in China owned a third of the country’s wealth, while 25% of the population with fewer resources only holds 1% of that wealth. 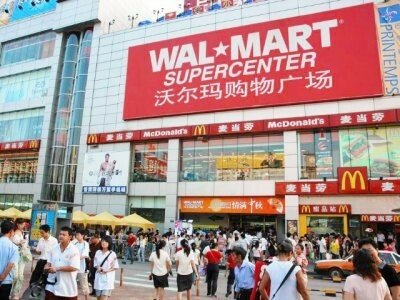 China already surpassed the United States as the country with the most billionaires in the world. In 2011, according to the Hurun List (the Hurun Research Institute conducts studies of the richest people), in China there were 271 multi-billionaires, that is, people with more than a thousand million dollars in wealth; in 2016 there were 596 billionaires, compared to 537 in the US. This year’s re-port states that real estate mogul Xu Jiayin, founder of the China Evergrande Group, is now the richest man in that country: his for-tune amounted to $43 thousand million. With all this, can one believe that China is building socialism? The 19th Congress of the Communist Party of China outlined a political line whose main purposes are to affirm the capitalist relations and make China a great world capitalist power. It consecrated “Xi Jinping Thought” as the theoretical source of that policy. The deepening and strengthening of capitalism in China and the consecration of so-called “Xi Jinping Thought” constitute the essential elements approved by the 19th Congress of the Communist Par-ty of China, held last October. From them are derived other propositions, such as making that country a great capitalist power. Over the last four decades, the adoption of pro-capitalist re-forms has always been covered up by “innovative” proposals that, due to their importance, have been classified as a “theory” or “thought.” Now the congress of the Chinese revisionists has decided to reform the Constitution of the Party and to “glorify” Xi Jinping’s “Thought about socialism with Chinese characteristics for a new era.” In this way, the thought of the current head of the CPC puts him on the same level of Marxism-Leninism as Mao Zedog’s thought, Deng Xiaoping’s theory and the theory of the three representations. ” Xi’s thought is the latest achievement and the latest level of Marxist practice; writing it into the Constitution shows the authority of Xi’s thought, which demands that the Party obey and promote the development of the theory,” says Cai Zhiqiang, professor of the Party School of the Central Committee of the CPC. The latest reform to the Party Constitution made in this regard took place at the 12th Congress of the CPC in 1982, in which – according to the official version – “the errors of the ‘left’ were cor-rected and the economic construction for socialist modernization was established as the center of the Party’s work.” It was the period of Deng Xiaoping that introduced a series of reforms of capitalist content (see issue #1794 of En Marcha). In 1997 the “Theory of Deng Xiaoping” was established as the guiding theory of the CPC; in 2002 it was the Theory of the Three Representations and in 2007 the Scientific Perspective on Development. “emerging sectors of society: entrepreneurs, capitalists and the middle class.” The emerging classes that Jiang Zemin was talking about at that time were the new entrepreneurs and financiers, who according to him, were the “builders, together with other social sectors, of socialism with Chinese characteristics,” a euphemism which concealed the presence of capitalism. It can be said that this theory is an extension of Deng Xiaoping’s theory: “One country, two systems”. “The Party must always represent the concerns of development of China’s advanced productive forces, represent the orientation of development of China’s advanced culture, and represent the fundamental interests of the majority of China’s population,” Jiang Zemin stated at the 16th National Congress of the CPC when arguing his theory. 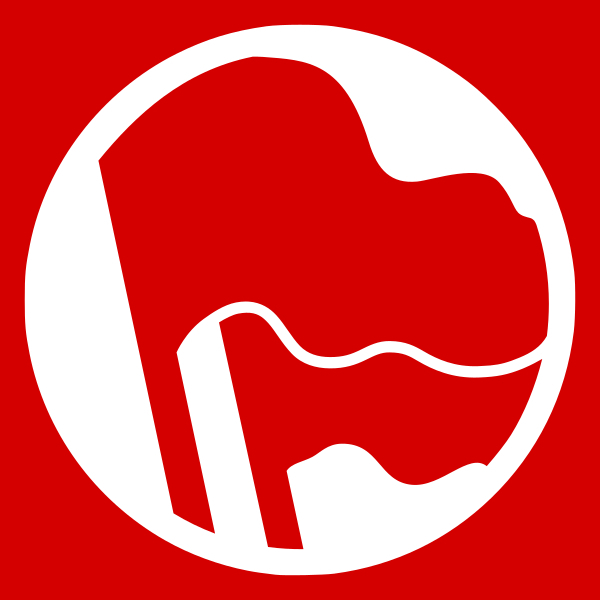 This approach forms the ideological basis that allowed many entrepreneurs to join the CPC; it expresses the total abandoning of the class character that a true communist party must have – which does not call attention to what they are doing – and also the abandonment of the principle of class struggle. In the press and television this theory was presented as a method to help the humble people to improve their quality of life, that is, to earn more money. These new inclusions in the CPC Constitution constitute “a range of new ideas, ideas and strategies presented by the Central Committee of the CPC with Xi as its core … which include the decisive role of market forces in the allocation of resources…,” which makes it clear that the essence of Xi’s thought is liberalism. 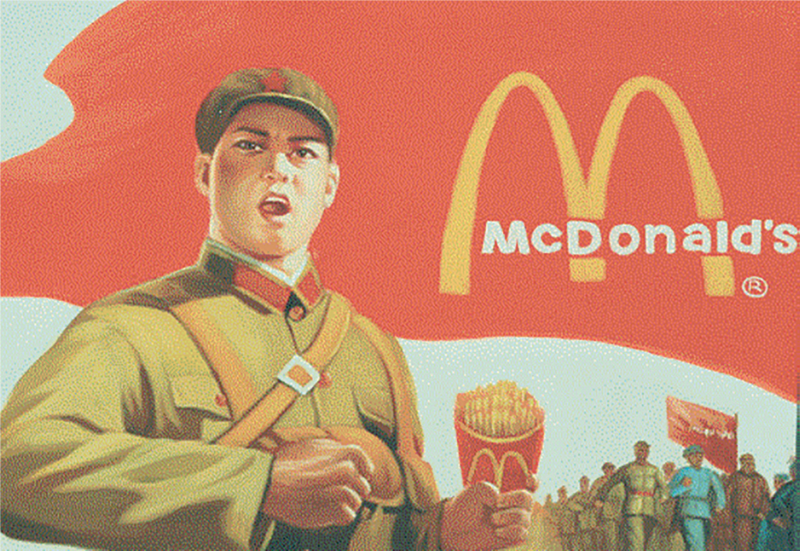 With that thought, the CPC aims to strengthen capitalism in China and turn it into a great world capitalist power. “The original aspirations of the Chinese Communists and their mission are precisely to pursue the happiness of the Chinese people and achieve the revitalization of the Chinese nation,” says Xi Jinping in his report presented to the 19th National Congress of the CPC. “The realization of the great revitalization of the Chinese nation is the greatest dream that our nation has caressed since the modern era,” he re-peats in the same report, and therefore “we must adapt to the cur-rent of time, to obey the will of the people and to have the courage to carry out the reform and the opening up, so that the cause of the Party and the people always overflow with a powerful driving force that allows them to move boldly.” In other words, to deepen the reform of capitalist content. So affirmed is capitalism in China that in the same report it is recognized that the Central Committee has had to take measures to “rectify,” among other behaviors, the hedonism and the proclivity to waste and sumptuousness, typical expressions of a bourgeois society. When speaking of a nation, one means a group of people who have fundamental elements in common that give them a national identity, regardless of their class condition. Therefore, the statement to “revitalize the Chinese nation” implies promoting all the sectors that comprise it, including the very powerful Chinese bourgeoisie – which now can even join the CPC – abandoning the class vision of society and the proletarian character of the socialist system. Nationalism, contrary to the proletarian internationalist essence of Marxism-Leninism, always tends to belittle or repudiate other cultures or nations; therefore, it is excluding. The Chinazation of Marxism is nothing more than the label by which they seek to justify the total abandonment of Marxism; it is not the development of Marxism in the new conditions in which the world is living. So much so that, while proposing such “progress,” they insist that socialism can only develop through reform and opening up (capitalist reform and opening up to private and foreign capital), and that one must “decisively eradicate all anachronistic ideas and concepts” and have “a completely new vision in close combination with the new conditions of our time and the new demands of practice.” That is, for the Chinese revisionists, Marxism-Leninism is an anachronism. These aspects, and those presented in these articles devoted to the analysis of what is happening in China today, show us that capitalism has been imposed there. The workers and peoples of that country have the task of organizing and leading a genuine proletarian revolution to victory. ‹ Revolt in the Mountains! Teachers Strike!